The Clute Institute publishes 19 open access academic journals that contain the latest scientific research findings in their respective fields. Choose from any of our titles below for further details including manuscript and submission guidelines. Sign up for our newsletter below for journal updates an Call for Paper dates. 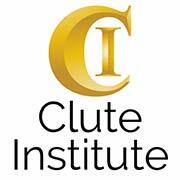 The Clute Institute has been hosting international conferences since 1999. Two conferences, one location – we offer a Business Conference and Education Conference with tracks in both Technology in Education and Science Education at each location. Choose from any of our conferences listed below to learn more, register or make a payment.